The greatest heroes and villains from the greatest battles are here again. 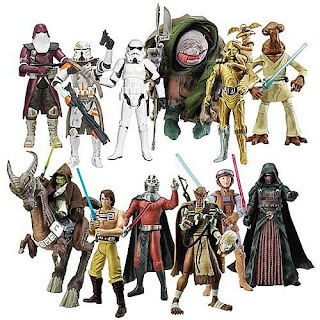 We have repriced - restocked - readjusted all prices from the Greatest Battles and Heroes & Villains Saga Collection from 2006-2007 Star Wars by Hasbro Toys. If you were missing out to complete your collection do not miss out on these amazing prices! 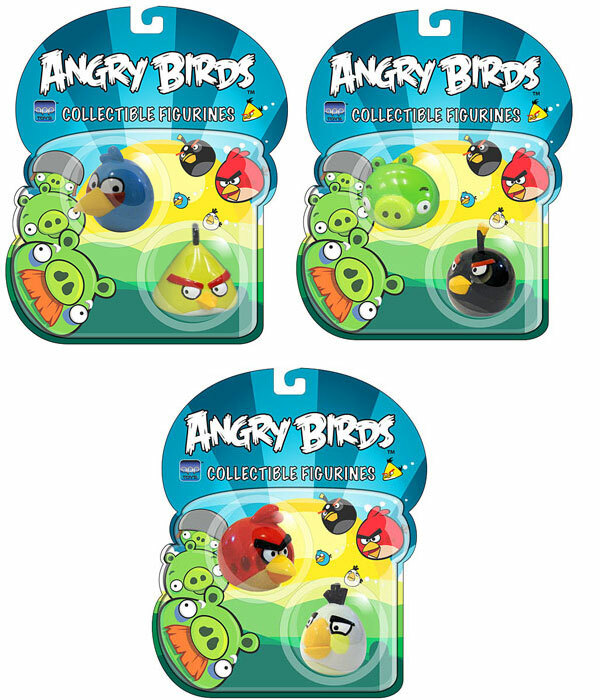 Grab these little creatures from Zooble Isle called Zoobles where you can find a variety of collection from Petagonia, Azoozia, and Seagonia and collect them all. We here at ToyDorks.com are proud to offer the Zoobles Collections at our store. Star Wars 30th Anniversary - Restock and Repriced. The Star Wars lore is so extensive that we carry ALL of the lines (or try to). 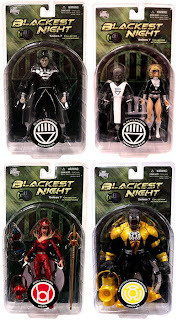 We have contacted distributors for these Hasbro Toys products and well, we have GREAT news! We have price adjusted and restock many of the 30th Anniversary line to help collectors and fan favorite customers out there! So if you were waiting for a store that would just lower the price of Darth Malak, Revan, or all the different 30th Anniversary Star Wars 3.75" Action Figures out there - well your in luck! Reminder: our packaging MAY be bi-lingual. Do not buy and request it to be english - unfortunately we will not honor this as we did warn you about this. Its not something we can control. Second reminder: a lot of the products might take some time to get out of the warehouse but once you order them, we will deliver! Just have patience Pada-wan! Pre-order filled - we got some more coming - it has finally landed at our distributors and our warehouse. Get it while it last! DYK - Did you know we have over 2000 Star Wars Products? Did you know that we carry all sorts of lines from Hasbro Toys for their Star Wars line? We have them in-stock OR ships in 5-7 business days or less. Shipping to major countries like United States, Canada, United Kingdom, Mexico, Spain, Greece, Denmark, Australia, New Zealand, just to name a few! Make sure you check us out! Mcfarlane Toys Halo Reach Series 2 - Now Available to All. Did You Know that not all products belonging to the Transformers line can transform, HOWEVER Titanium Ultra Series Die-cast does! If you fear durability but want flawless details - Titanium Ultra Transformers is the right mix for you. Hasbro Toys produced these for a limited run for 2 years and released some never released forms of your favorite Decepticons and Autobots - War Within series, G1, Beast Wars, Robots in Disguise, and more. If you never heard of them - its worth taking a look. 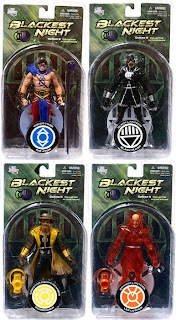 DYK - Did you know - We still sell Toybiz LOTR Figures? Dear ToyDorks Follower and wandering internet surfer - did you know that Toybiz Toys (may all they staff having a great life) brought you high detail articulation Lord of the Ring (LOTR) products? 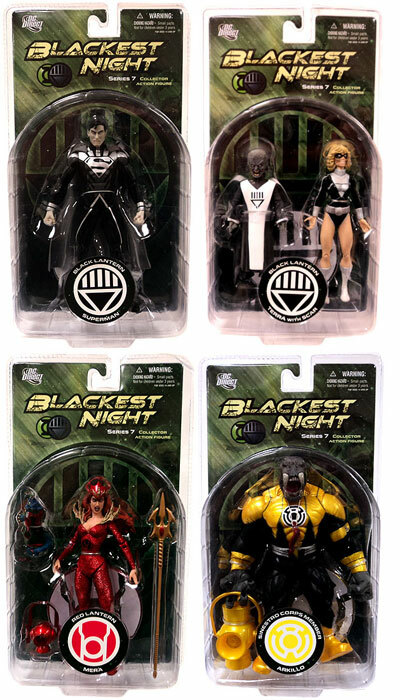 Did you know that we are the rare toy stores online that still offers their full line of products from the HALF MOON packaging to the deluxe gift packs and AOME 3" figures? 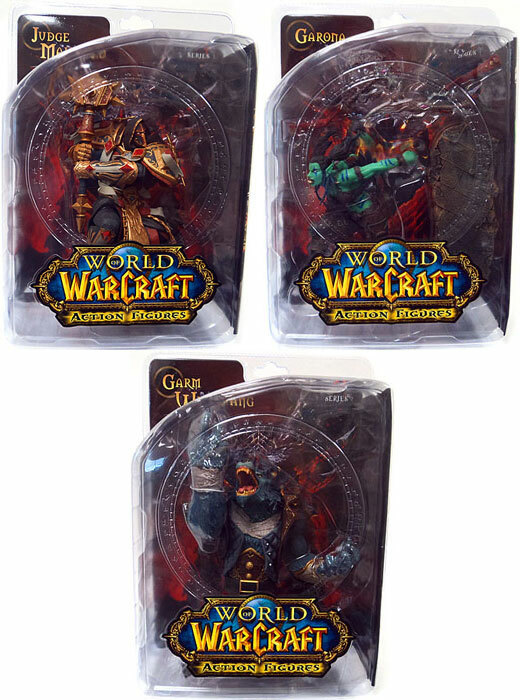 Collect Grandalf the Grey, The White, Sauruman, Sauron, Armored Trolls, different Legolas, Frodo, Aragorn, and more. Open Letter to Mcfarlane Sports - Stop the Kobe. 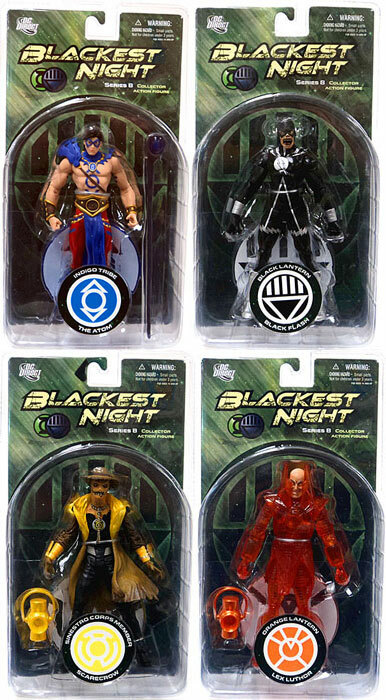 We have edited the products for the Mcfarlane Sports Pick MLB Baseball product line to include team search. Now you can search our site by Yankees, Phillies, Cubs, and your favorite sports team from the MLB line up.This will help those who are only to collect Yankees, Braves, or others. Hasbro Toys released Iron Man 3.75 inch Action Figures for the year 2011. Now collect Movie Series and Concept Series Armor. 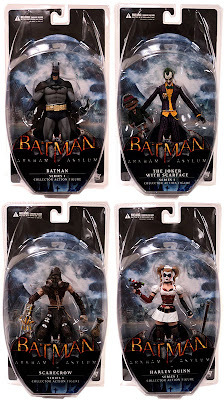 If you were waiting for a price drop on these figures - well we got you cover while quantity last! Dont wait! 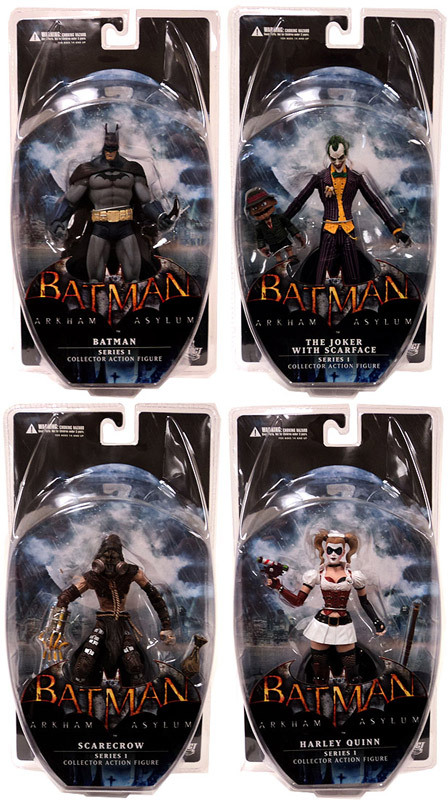 Pulled right from the game come the next series in DC Direct's stunning line! Each figure has a astounding level of sculpt detail and paint application making them some of the best figures currently being made! We were previously out of stock due to preorders being filled - we have finally refilled our Series 7 and Series 8 for the new year to enable collectors, action figures enthusiast, and people who love cool stuff to be able to grab them from us.